A YEAR OF JUBILEE REVIEWS: Wugadogs Toy Maker Gives Back! 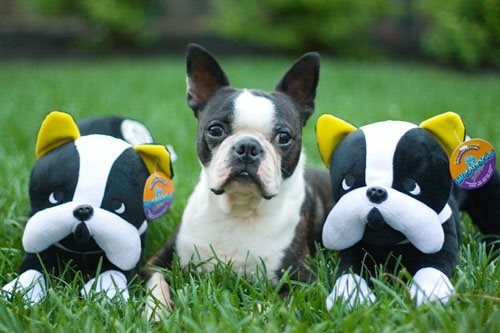 Last summer Tall Trees Toyworks Gave Back when it donated 300 stuffed Boston Terriers to the Women's and children's hospital of Buffalo. “I was surprised to learn the Women & Children’s Hospital of Buffalo has taken in dozens of Ontario premature babies that otherwise would go without care and possibly die. Inspired by his own rescue dog Angus, Darrin and Janet began a company to create beautiful plush toys for those who love dogs! 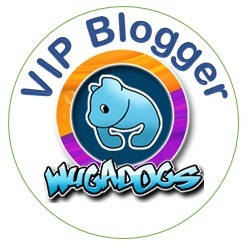 The quality products along with the heart of giving back, makes Wugadogs a company A Year of Jubilee Reviews is happy to stand behind as a VIP Blogger! Be watching for upcoming plush dog reviews and information on additional dogs being added to the line up!